Peregrine RangeMaster reloading bullets have been designed for long and extreme long range shooting. 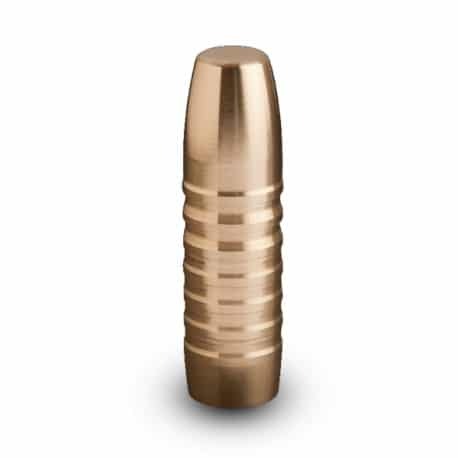 These bullet tips for reloading underwent stringent scientific development and testing for a period of two years prior to their introduction. Many considered it impossible to develop a bullet of the nature and characteristics of the Peregrine RangeMaster. 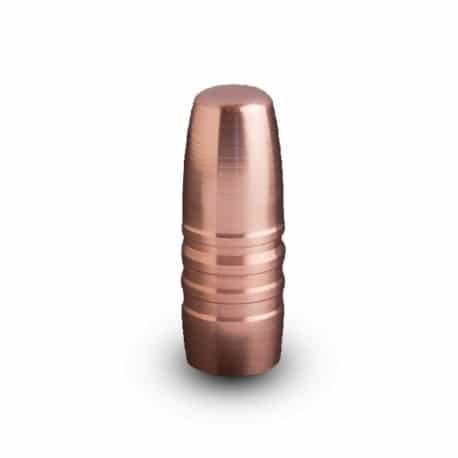 What makes the Peregrine RangeMaster completely unique in the long range market, and also one of the best long range bullets in the world, is the fact that it is the only smooth solid red copper monolithic bullet used for long range shooting. The Peregrine RangeMaster does not have any driving bands, grooves or cannelures. In the Peregrine RangeMaster, Peregrine Bullets has achieved the impossible, through innovative design, manufacture and production. To protect this unique design, Peregrine Bullets currently has a patent pending on the smooth design of the Peregrine RangeMaster. Although the Peregrine RangeMaster can be applied over the short and medium range as well, this masterpiece really comes into its own at distances beyond the 650 yard mark. 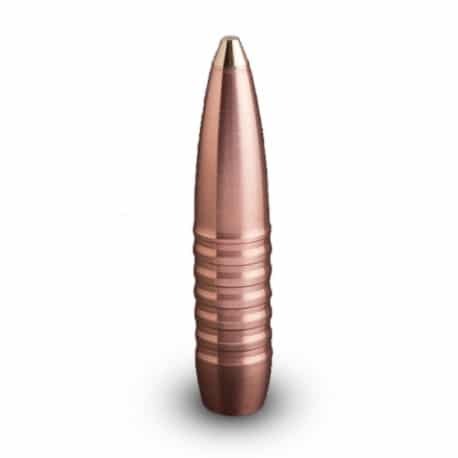 With an extremely high ballistic coefficient (BC) and very flat trajectory, this bullet can easily reach targets accurately and reliably at distances as far as 2 200 yards. 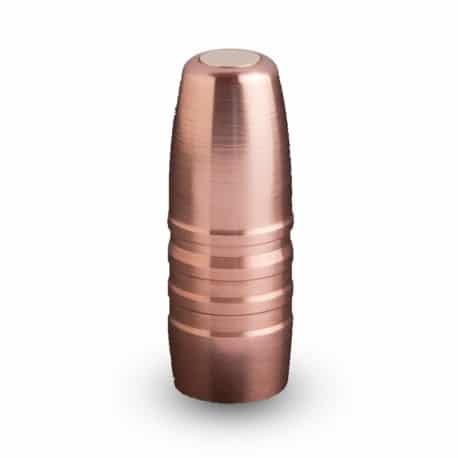 The nature of the Peregrine RangeMaster’s pressure relieving design, coupled with the soft red copper material used, allows for similar loads and pressures to be achieved with the Peregrine RangeMaster as one would achieve with lead-core bullets. Due to its length the Peregrine RangeMaster is a single-shot bullet only. Standard magazines won’t accommodate this bullet. Although the Peregrine RangeMaster is currently available for all standard calibers, Peregrine Bullets makes custom extreme long range bullets upon request. The Peregrine RangeMaster is precision manufactured, ensuring that hyper accurate tolerances are achieved to ensure increased performance and reliability.